Burlington House, a 12-storey office block built in the 1970s and demolished in 2016 on Townwall Street, was named after Burlington Hotel. This once stood further along Townwall Street on the corner with Woolcomber Street but was devastated during World War II. 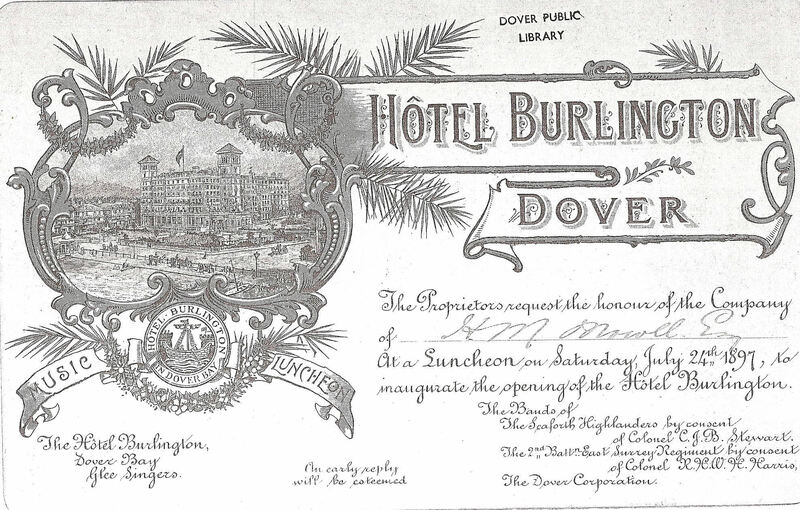 Nonetheless, the story of Burlington Hotel, and its predecessors, is part of Dover’s annals and as interesting today as it was in its heyday. During the Napoleonic Wars, (1793-1815), a canal was built for defensive purposes along what is now Townwall Street. The canal had the effect of drying out the marshy ground on the landward side. On this land, between what are now Russell Street and Woolcomber Street, Madame Sarah Rice had a mansion built. She was a formidable lady and called her home Clarence House. Nearby, before Castle Street was built, was a donkey stable providing tourists rides along the beach. Unfortunately, the donkeys had a liking for Madam Rice’s flower garden and it was said that she was one of two local personages on which Charles Dickens (1812-1870) based the character of Betsy Trotwood, in David Copperfield! 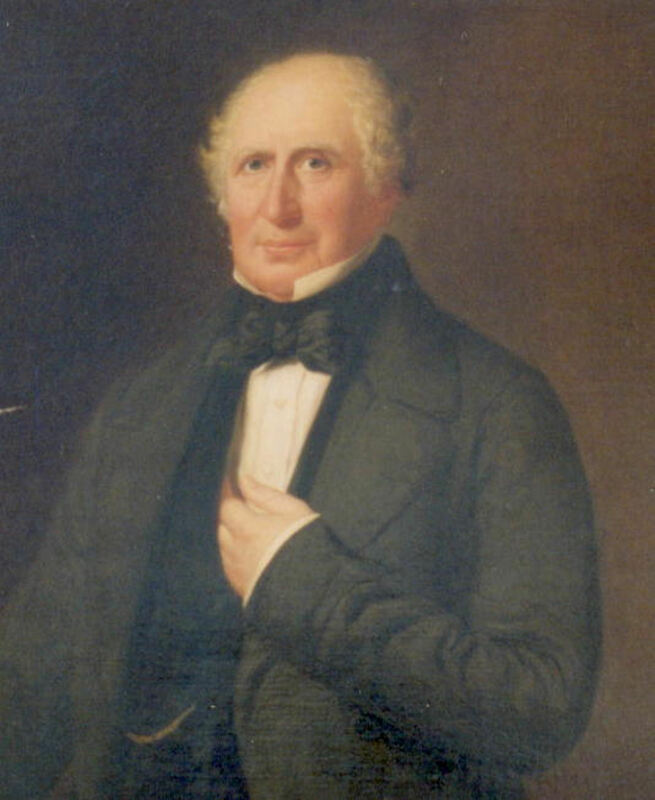 Sarah’s son, Edward, was the Liberal MP for Dover from 1837-1857 and the prime mover behind Dover’s great harbour that we see today. However, following the death of Madam Rice, in 1841, her mansion was sold and the Clarence Hotel Company bought the land. Most of the Directors were London based excepting two. One was Steriker Finnis, a local businessman who ran the town’s main timber yard and the other, Rowland Rees, the Chief Engineer to the Harbour Commissioners. The Bankers were National Provincial, then in Snargate Street but were, at that time, acquiring land at New Bridge where they built what is now New Bridge House. The company planned to raise a capital of £75,000 through 7,500 shares at £10 each and call their new hotel, the Clarence. 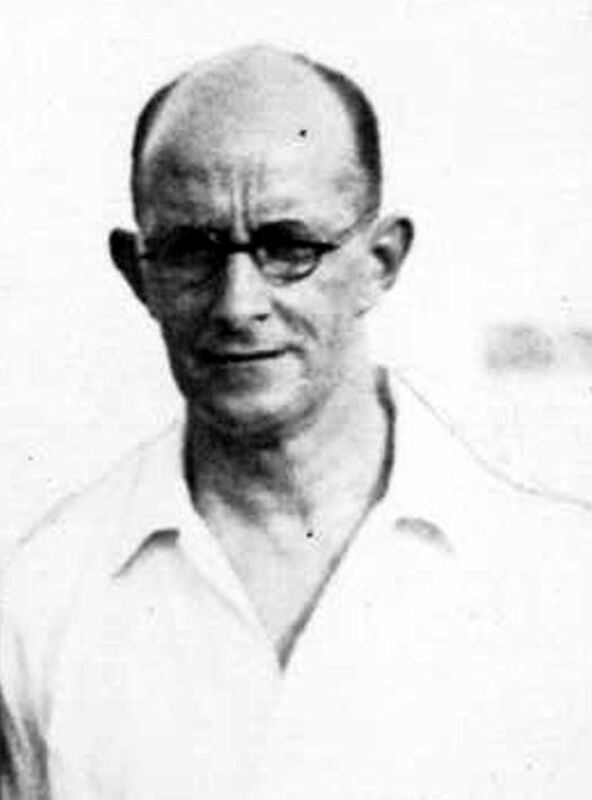 John Wichcord, a famous architect of the time and the designer of the Grand Hotel, Brighton – the target of an IRA bomb in 1984 – was commissioned. The Clarence Hotel, Dover was, by all accounts, magnificent but after three years, it was still in the process of being built. 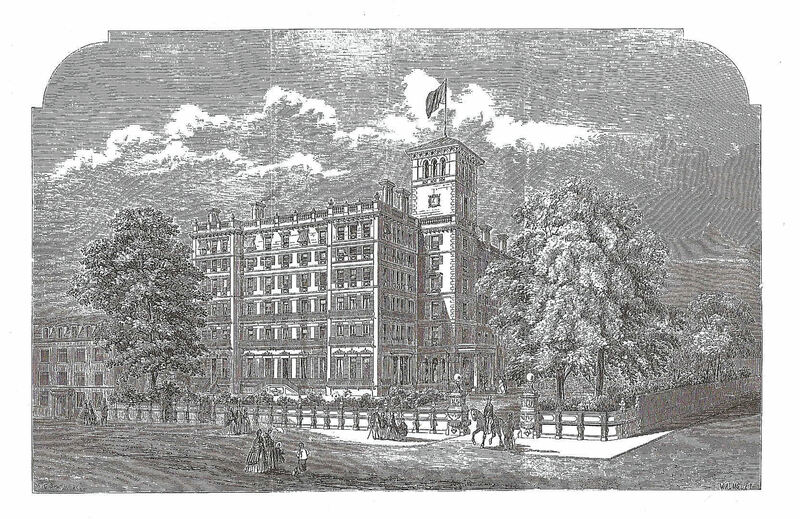 By that time five-storeys, with 240 rooms had been completed so in June 1865, the Hotel was officially opened. Unfortunately, not only was the building uncompleted, the owners had financially over-reached themselves. Shortly after the grand opening, they lease the building to the Imperial Hotel Company. 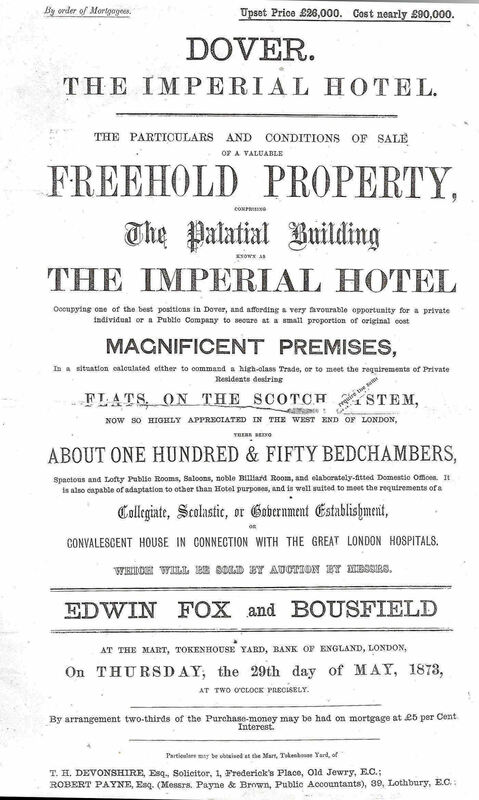 The new owners completed the building programme and on 13 September 1867, it reopened as the Imperial Hotel. The total cost was £75,000 to build but it cost another £25,000 to furnish it, which put a strain on the new company. The hotel closed in 1871 and was put up for auction in 1873 with an opening price of £26,000. In 1895, the abandoned hotel was purchased by Sydney, Richards & Co and extensively restored by the Fredericks Hotel Company. At one point, 600 men were engaged on the works and they were supervised by Albert E Addis a building surveyor. In 1945, he was reported living in retirement in Elms Vale Road. The refurbished hotel had 380 rooms on eight floors served by a ‘handsome lift’ and in total cost the operation had cost about £85,000. 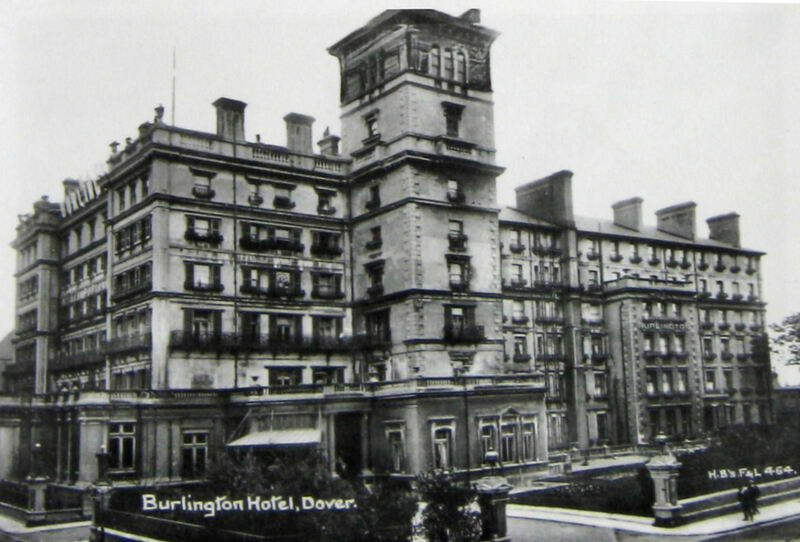 Given the name Burlington Hotel, the massive building was opened by John Henniker Heaton, Member of Parliament for Canterbury, on 24 July 1897. 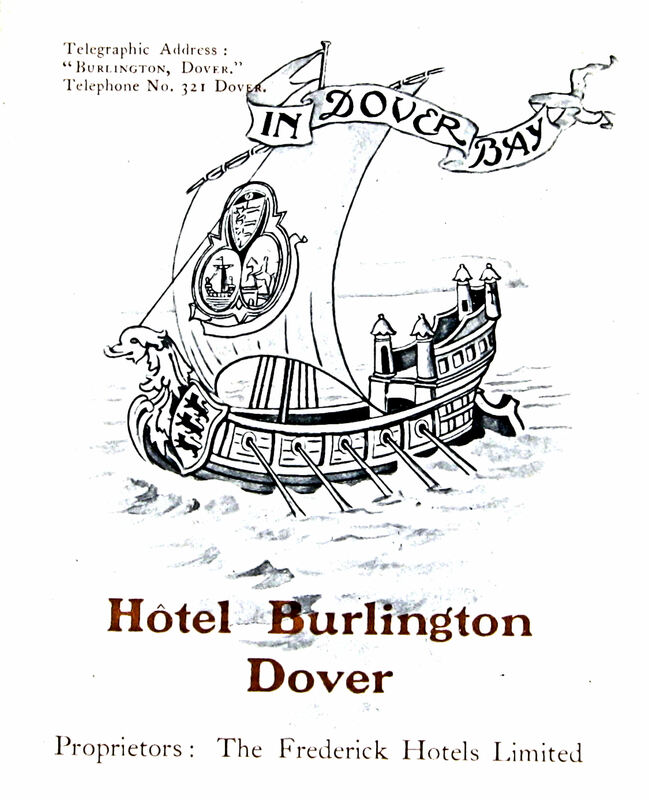 At the time, Dover was at its zenith and the hotel was favoured by many visiting dignitaries including, in 1899, the delegates of the British Association of Scientists’ conference, held in the town. It was also said that Arthur Burr, entrepreneur behind the development of the Kent coalfield, had a flat there for several years while the Borough Coroner, Mr Sydenham Payne, favoured the hotel for inquests. Up to and including World War I, the hotel remained popular, especially with the military and naval personnel. Even during the post-war depression of the 1920s, it was a favoured venue for balls, dinners and galas. Therefore, it came as surprise to the town when Frederick Hotels decided to close it on 30 September 1924. 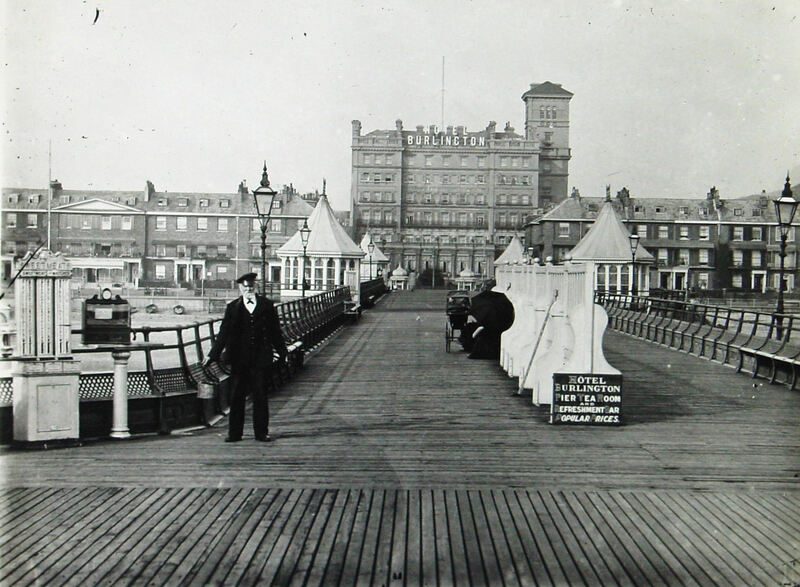 The company had decided to invest in the Lord Warden Hotel, near the Western Docks, as they saw a better future in catering for cross-Channel passengers. It was nearly two years before the hotel was sold and then it stood empty. In 1927, the Southlands Training College for Woman Students leased the building, while their college in London was being rebuilt. Southlands stayed until the autumn of 1929 and then C. W. Mason leased the building and converted much of it into American style apartments and business units. These became available in March 1931 and the whole was then renamed Burlington Mansions. In May 1937 the Mayor, Alderman George Norman, officially opened a ballroom, that proved popular locally. The height, size, colour and the proximity to the seafront made the former hotel a target from the opposite side of Channel during World War II (1939-1945). 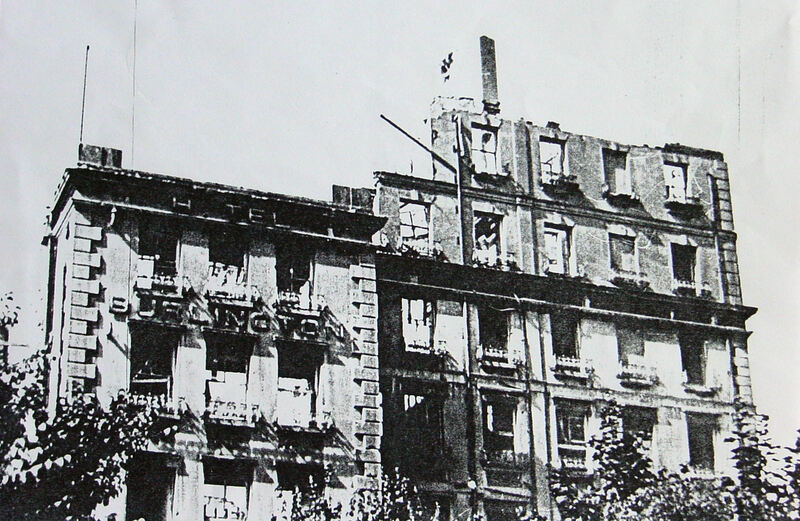 On Monday 9 September 1940, a shell hit the upper floors causing a fire and the body of William McDonald aged 54 was later found. A few weeks later, on the afternoon of Sunday 20 October, the huge water tank on the roof was hit and part of the hotel collapsed into the then Liverpool Street. Finally, on Sunday, 7 September 1941, a Junken dive-bomber dropped its load and at least three hit the building. The caretakers, Joseph Thomas ‘Tom’ Turner, 62, and his wife, Rosa, 65, died instantly. Special constable William Horn, 61, who lived in one of the flats and was the manager of Pippin’s tailor’s in Biggin Street, was killed. The floor of the Decort family flat gave way. At the time, Albert Decort was on the loo! Luckily, he managed to grab a water pipe as the lavatory fell into the void beneath. Afterwards dynamite was used to make what was left of the building safe but even then, it continued to be hit by shells. Dover Corporation, using Compulsory Purchase Order, on 26 April 1949 bought the decimated building. They invited tenders to demolish it and accepted an agreement where the contractor paid the council £130 as long as they kept all the salvaged material. Demolition began in August and was completed by mid December that year. In 1951, the Corporation bought the land on which the hotel had stood for £4,575. Following the widening of the junction between Townwall Street and Woolcomber Street, a petrol station, on the corner, was given planning approval in 1996. British Petroleum funded an archaeological survey undertaken by the Canterbury Archaeological Trust and they uncovered the foundations of the former Burlington Hotel. They also found evidence of Norman development of Dover below which was sand and gravel of the silted up earlier Dover harbour. By the time of archaeological dig, the Hotel’s namesake, Burlington House, was coming in for much criticism and in 2007 was officially condemned. This entry was posted in Buildings, Burlington Hotel, Burlington Hotel, Societies, Culture and Entertainment. Bookmark the permalink.